Academic qualifications M.Sc., Ph.D., B.Ed. Athira K.V. and S. Nandakumar. 2012. A preliminary screening of selected medicinal plants for antimicrobial effect on coliform bacteria isolated from raw milk. Science Chronicle, 1(1):21-28. M. G. Sanal Kumar, S. Nandakumar, B. Bini, M. S. Mahitha.2017. Concentration study of antimicrobial activity with selected oral cleansers on oral microflora. Research J. Pharm. and Tech. 9(12):2241-2245. S. Nandakumar, M. G. Sanal Kumar, B. Bini, Geethu G. Krishnan.2017. Antimicrobial activity of selected medicinal plants against oral microflora. Research J. Pharm. and Tech. 9(12):2271-2275. M. G. Sanal Kumar, V.Jayalekshmy and S.Nandakumar. 2018. Checklist and status of Piscean fauna in Pallickal River – A wetland river of Western Ghats Ecoregion, International Journal for Science and Advance Research in Technology 4(4):2504-2509. S. Nandakumar and M.G. Sanalkumar.2010. Diversity profile of aquatic insects in relation to physico-chemical parameters of river Achencovil, Kerala. Int. Conf. on Envt. Sustainability for Food Security, 22-24 September 2016, Sree Ayyappa College for Women, Chunkankadai, Nagercoil, Tamil Nadu. Reeja jose, M.G. Sanalkumar and S. Nandakumar. 2012. Diversity and distribution of aquatic insects in the river Achencovil during monsoon season in relation to water quality. A. Biju Kumar(ed.). Biodiversity Documentation and Taxonomy. Narendra Publishing House, New Delhi. 241-249. S. Nandakumar and M.G. 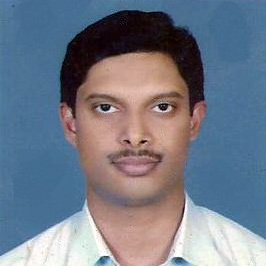 Sanalkumar. 2012. Purity assessment of a riparian ecosystem- A rapid pursuit using entomological indicators. A. Biju Kumar(ed.). Biodiversity Documentation and Taxonomy. Narendra Publishing House, New Delhi. 175-181.